Supplemental animal feeding is an invaluable way of ensuring appropriate animal nutrition. Getting a feed test before buying or feeding your animals gives you the information you need to make sound decisions that can help increase your productivity. We have a full range of tests for pasture and forage quality, silage quality and compound feed groups. We can also test your feed for nitrates and microbiological contamination. The quality of silage is highly dependent on the quality of the forage harvested and the type of fermentation that has occurred. 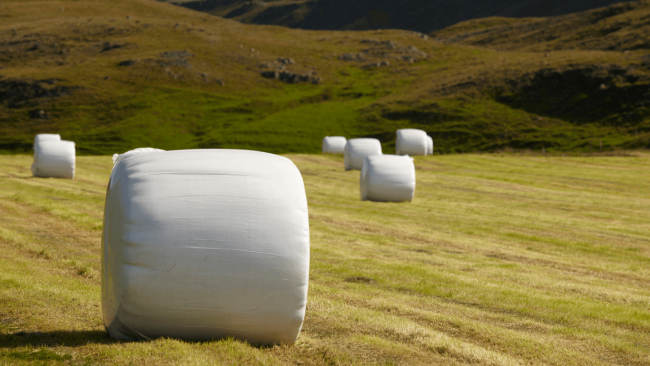 These factors will influence palatability to livestock, livestock productivity, dry matter losses and the risk of toxins forming in the silage. Even under ideal conditions, loss of at least 8% of the forage dry matter is expected throughout the ensiling process. For a more complete listing of our silage testing options and the associated test details, simply download our easy-to-read technical note specifically designed for silage testing. Compound Feed by definition are made from many different components, normally comprising materials such as grains, meals, pellets, Palm Kernel (PKE) and food by-products used for animal feed. Understanding the quality and composition of these feeds is important to ensure that an animal's diet is appropriately and balanced for optimal output. For a more complete listing of our compound feed testing options and the associated test details, simply download our easy-to-read technical note specifically designed for compound feed testing. The nitrate component of pasture or feeds is absorbed very quickly into the bloodstream of ruminant animals. When the level of dietary nitrate is high, some of the absorbed nitrate is converted to nitrite, which reduces the ability of the blood (haemoglobin) to carry oxygen. “Poisoning” is actually a form of suffocation (anoxia). To ensure that the risk of nitrate poisoning is appropriately managed we recommend using our Nitrate Feed Testing services. Details of this service can be found in our easy-to-read technical note. Hill Laboratories offers analysis for both Salmonella and Listeria to help prevent occurrences of Listeriosis in sheep and cattle resulting from the infection of the bacterium Listeria monocytogenes. The source of the bacterium is often linked to contaminated animal feed. To order a test simply contact one of our friendly Client Service Managers and they will be happy to walk you through the process.